We are pleased to offer the Genuine Vw front fog lights for the Golf Mk7. All parts are Genuine Volkswagen and once fitted will operate as per factory fit. * Genuine Vw fog lights (x2), bumper grilles and headlight switch. * Wiring harness and professional installation. * Models after 04.01.2016 will require a replacement BCM. Please add this option below. * The work can be done on a call out basis however this may be subject to a call out fee. * All parts and labour come with a 2 year warranty. Please note: In exceptionally rare cases models before 04.01.2016 may also require a replacement BCM, this will cost extra if required, this check can only be made manually to be certain but in some cases with diagnsotics equiptment. 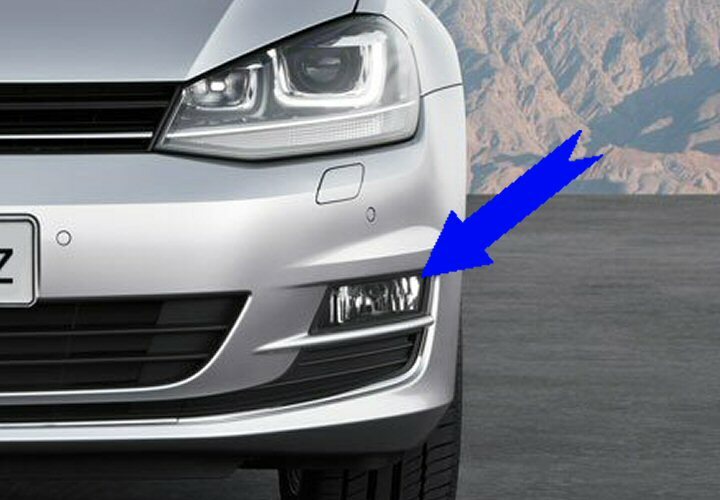 Above: Vw Golf Mk7 front fog lights.